Sign Up now and start solving CAPTCHAs instantly. Audio CAPTCHAs, available on some sites, are often deliberately garbled, prone to skipping, and otherwise difficult to access. They are designed to be difficult to solve to prevent computers and other programs from doing precisely that. Furthermore, visual and audio CAPTCHAs also serve as a barrier for individuals who are deaf as well as blind. Braille displays and other technology enable these individuals to use their computers, but currently, they must depend on third parties to facilitate solving CAPTCHAs. CAPTCHA Be Gone does not rely on the user to be able to see, hear, or even locate the CAPTCHA on the page, making it more usable for individuals of varying ability. Finally, only a limited number of sites offer alternative captchas as a solution. Many offer only the standard, inaccessible, visual CAPTCHA. CAPTCHA Be Gone solves this problem by securely detecting captchas on webpages, solving them, and copying the result to the user's clipboard in a matter of seconds with the press of a single keystroke. It is not even necessary for the user to know the precise location of the captcha. No data, other than the captcha, is sent out, so the user's personal information, websites, and other identifying data is secure. No matter how many CAPTCHAs you deal with, we've got your back. 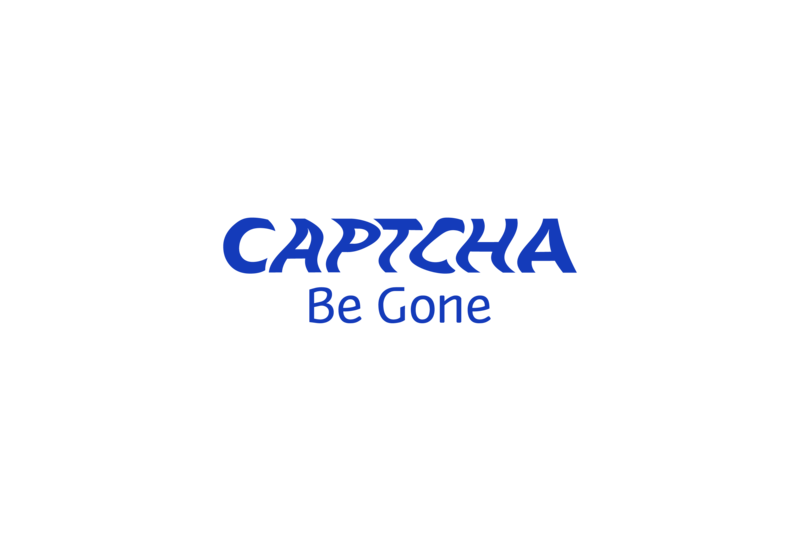 For $3.50 a month (only $3.00 for those who sign up during the introductory period), CAPTCHA Be Gone will solve an unlimited number of CAPTCHAs. Yearly options will also be available. Check out what people are saying about CAPTCHA Be Gone. CAPTCHA Be Gone is currently available for the Firefox, Chrome, and Internet Explorer browsers, but we are actively developing versions for other browsers, including Edge, and mobile and desktop versions of Safari. It is our intention to be able to offer a service which works no matter which browser you use. CAPTCHA Be Gone is accessible with all modern windows screen readers, including Jaws, NVDA, Narrator, Super Nova, System Access, and Window Eyes. As CAPTCHA Be Gone supports more browsers and operating systems, mobile and Mac screen readers may soon be added as well. Because CAPTCHA Be Gone is a series of browser extensions, it is also compatible with braille displays, magnifiers, and other computer-based accessories, though these are not necessary to successfully use the product.